Where do I start with this character filled city of old world charm and vibrant Scottish tradition? Edinburgh will no doubt end up on your list of favourite cities once you’ve spent some time here, especially if you’re into photography which I believe to be one of the best things to do in Edinburgh. There’s a feeling you rarely get elsewhere that’s created by mysterious alleys, stone cottages and a country vibe with crags, waterways and mountains framing the city. Edinburgh is so photogenic. Let’s just get that set in Scottish stone. I may have even said on numerous occasions during our time there that I could most definitely live there. It’s one of those cities that as a photographer would keep you busy for years with so many subjects to capture and scenes to compose not to mention the ever changing weather and light. If you’re visiting Edinburgh soon I’ve put together a guide to the most photogenic locations throughout the city, things to do in Edinburgh and some photo tips on how best to capture them. Trust me, there is no shortage of Edinburgh photography locations, if you’re visiting for 24hrs or staying for two weeks, there’s so much to keep you occupied whether it’s snowing, sunny or a little wet. As always, I’ll kick things off with a map to show you exactly where each spot is, then below you’ll find a little more information and some sample images of each location. 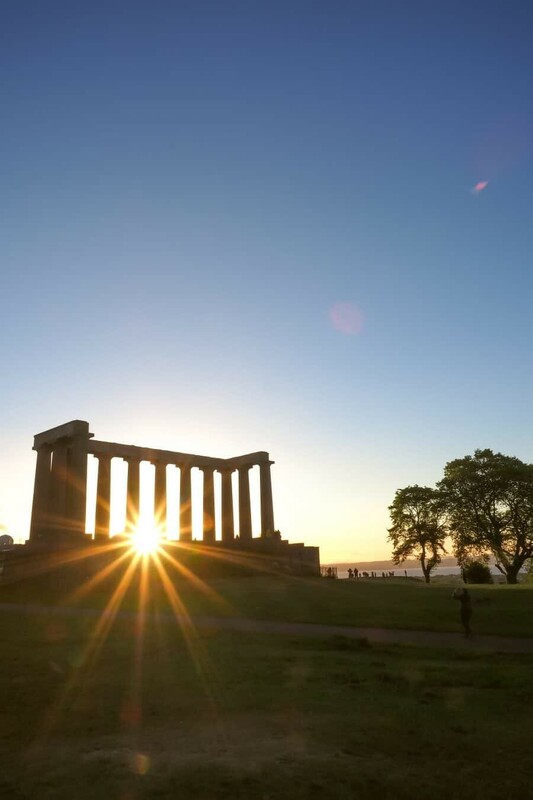 Possibly the most popular place in Edinburgh to photograph sunset, Calton Hill overlooks the city and definitely delivers with impressive views. 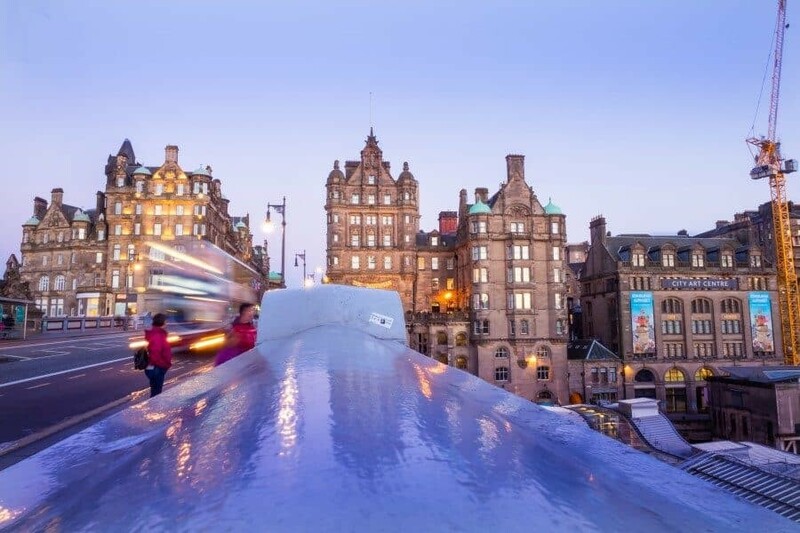 From here you can watch a sunny glow appear behind the Edinburgh Castle, capture long exposure shots of Princes Street from The Nelson Monument and watch as the city switches on its lights for the evening. 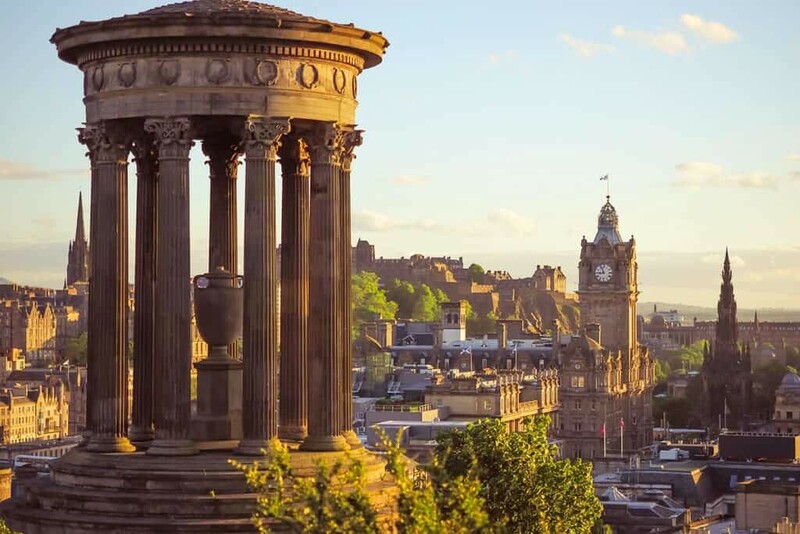 At the top of the hill you’ll also find the National Monument of Scotland, a memorial to Scottish soldiers and sailors with giant columns. You’ll find a lot of people crawling all over it for photos but personally I like to respect monuments like this, especially when they’re memorials and capture a sun burst or beautiful glow from afar. 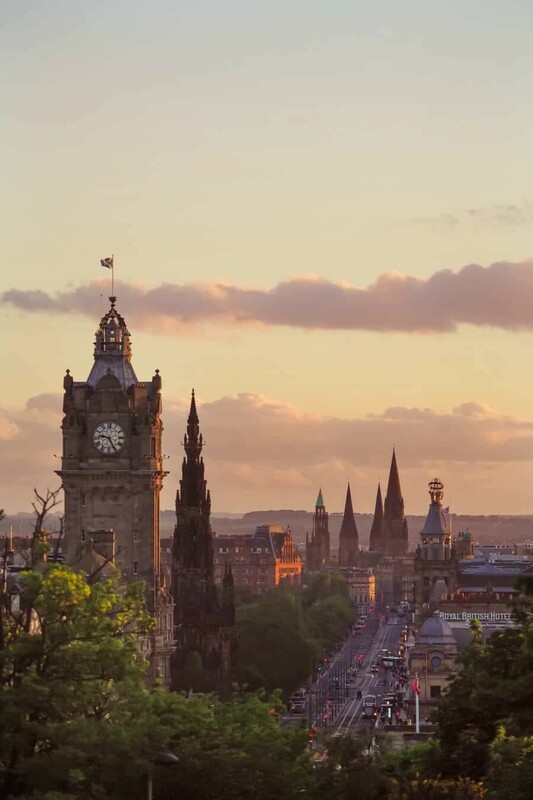 Photo Tip: The Dugald Stewart Monument creates an iconic view over Edinburgh and to capture it, wander up the hill a little more to the stone building where at sunset you’ll no doubt find the tripods out in full force. 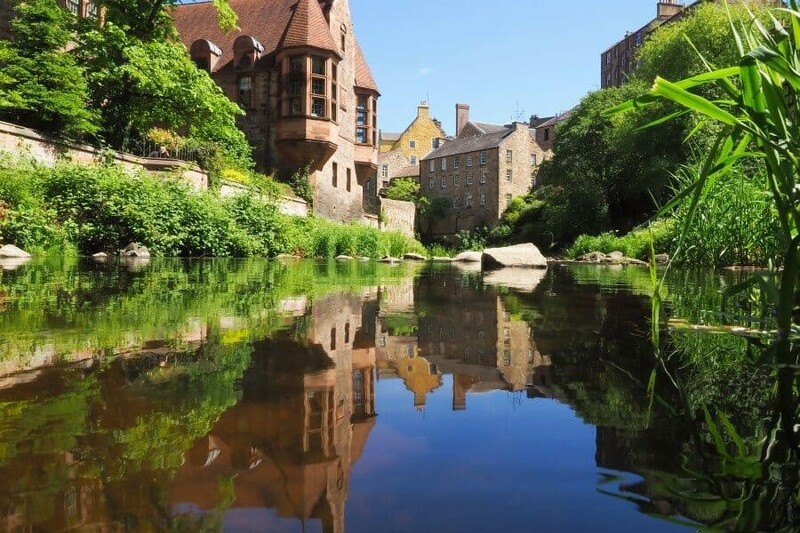 If you wander the Water of Leith walkway you’ll arrive in Dean Village, a fairytale scene with colourful buildings lining the stream and the feel of a country village. 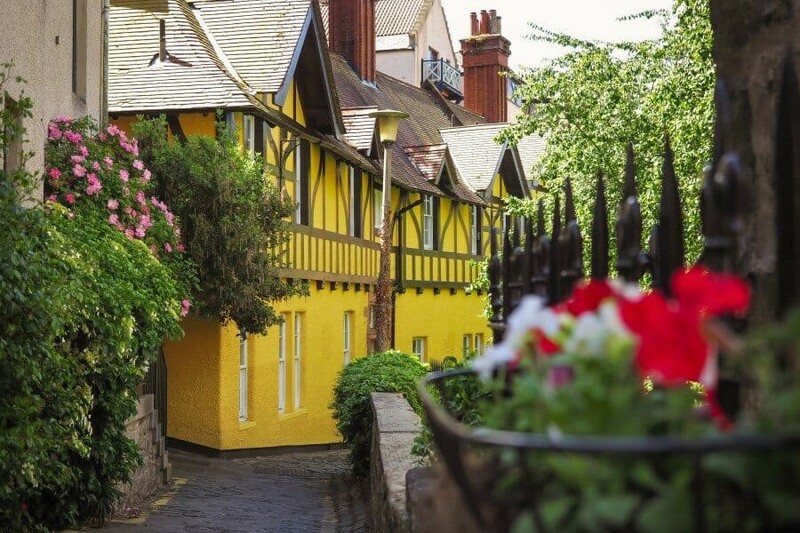 Be sure to walk down Hawthornbank Lane with a beautiful yellow building and cobbled street that leads down to the stream. You can get right down to the water level for reflections and if you cross the bridge and continue walking alongside the stream you’ll arrive at a waterfall. Photo Tip: Try for all angles, from the bridge, from the stream, the lanes…there’s so much to capture here. Mysterious, charming and alluring, the closes of the Royal Mile are in my opinion, somewhere you need to visit when photographing Edinburgh. 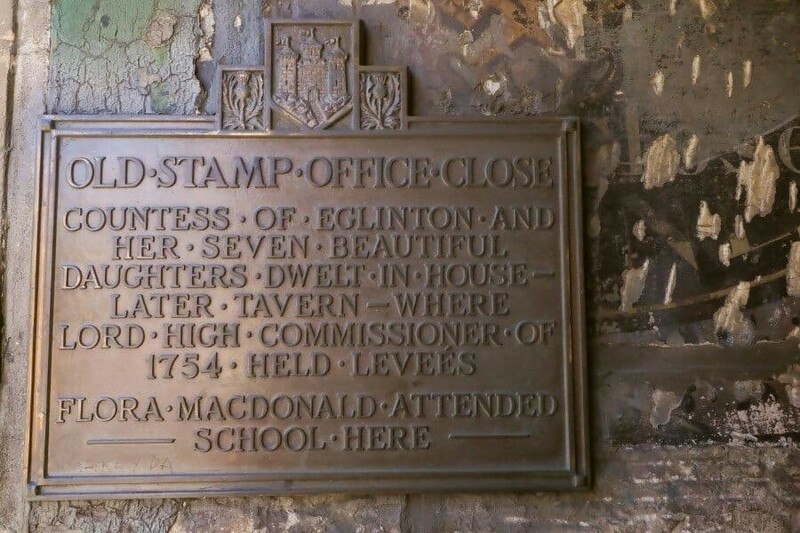 While thousands of people walk along the main thoroughfare daily, few realise these hidden gems exist and if you look closely you’ll discover walkways with an entrance name plate and steps leading down. 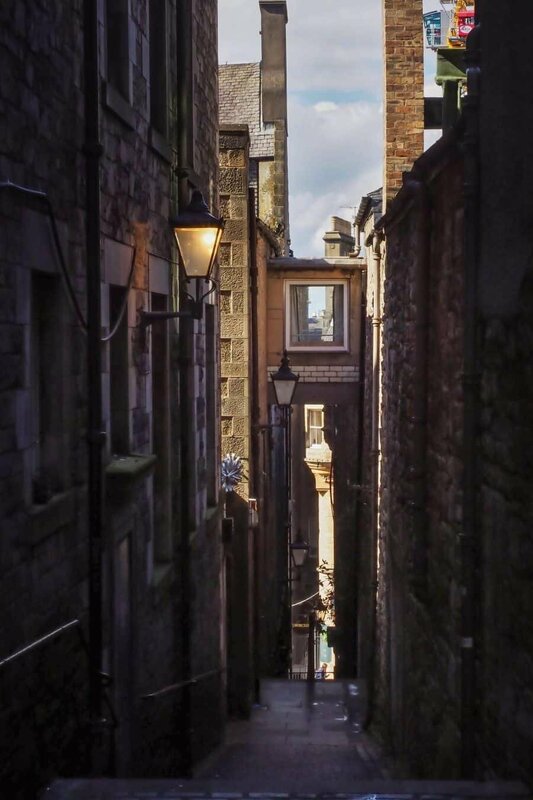 Narrow and moody, the closes weave between tall buildings and were typically named after a notable resident who once lived in the apartments the staircases pass. 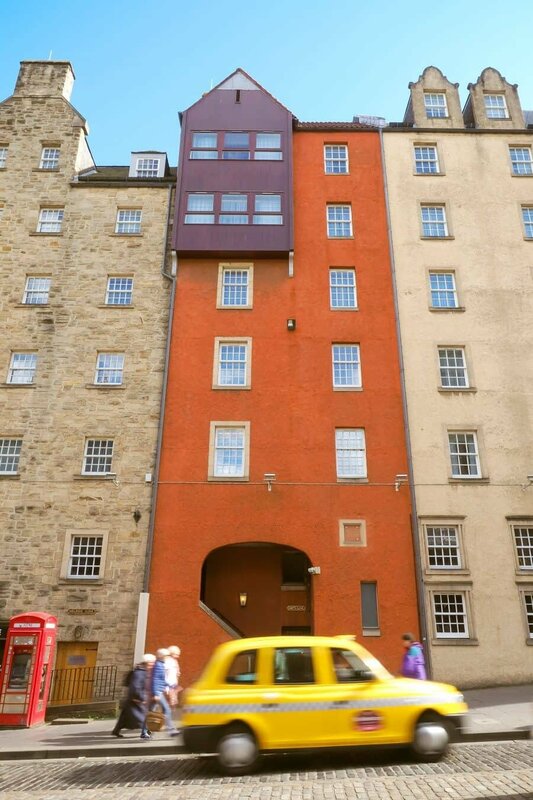 Each close is different in appearance with some favourites including Advocate’s Close, Old Stamp Office Close and Milne’s Close. The Royal Mile itself also offers oodles of photography opportunities with buildings dating back to the early 1800’s that lead towards the castle. 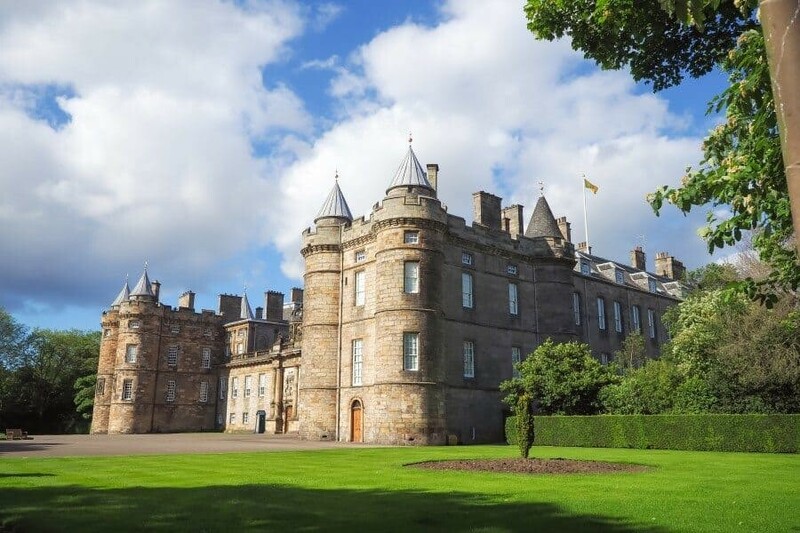 At the top of the Royal Mile you’ll find Castlehill which features a lot of larger buildings however down the end with Holyrood Palace, facades are a little smaller, less ornate but still filled with their own special character. Photo Tip: Visit when the dim street lamps create an eerie old atmosphere. Rarely in a city do you find a location as tranquil as this walk way. Only ten minutes from Prince’s Street you’ll be hearing the sound of chirping birds, trickling streams and wandering past stone cottages that may well be from a Beatrix Potter book. Put simply, this walkway is a peaceful city escape. 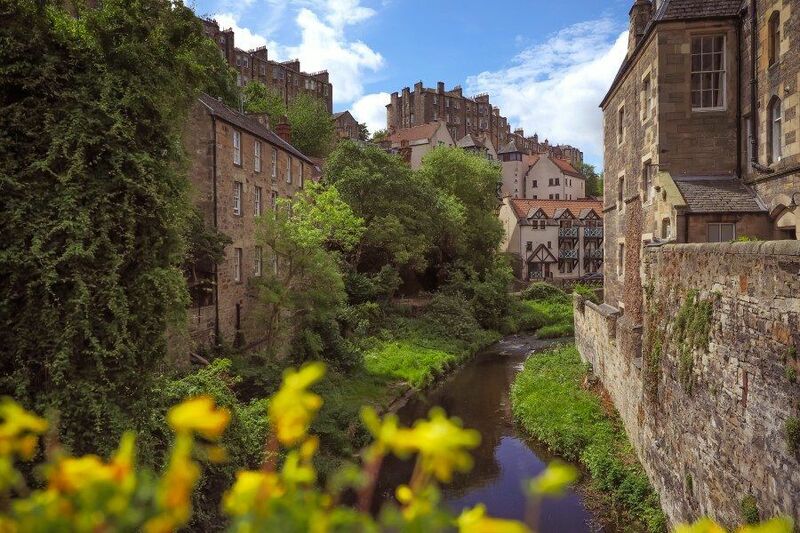 While you can join the walkway in a number of places, the path starts at the corner of Glenogle Rd and Brandon Terrace then weaves its way along the river banks towards Dean Village and then even further to Roseburn. 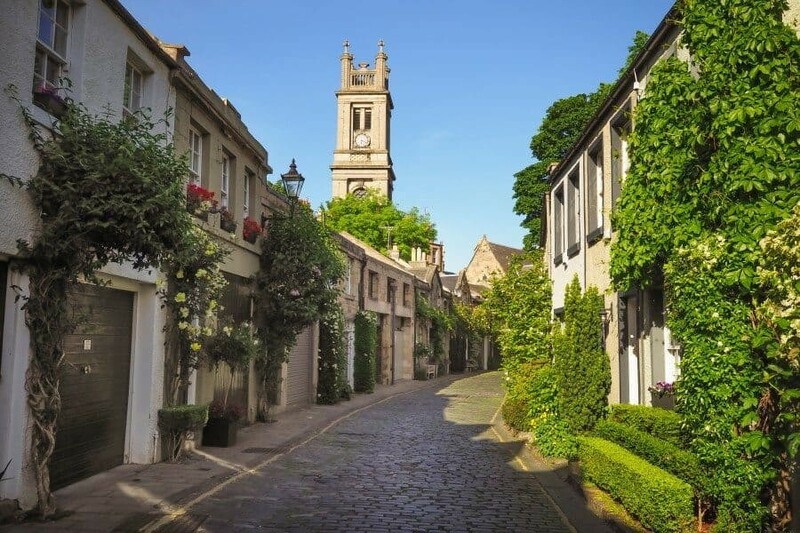 Once you’ve walked through Stockbridge you’ll follow a path through lush green rainforest before arriving at St.Bernard’s Well. 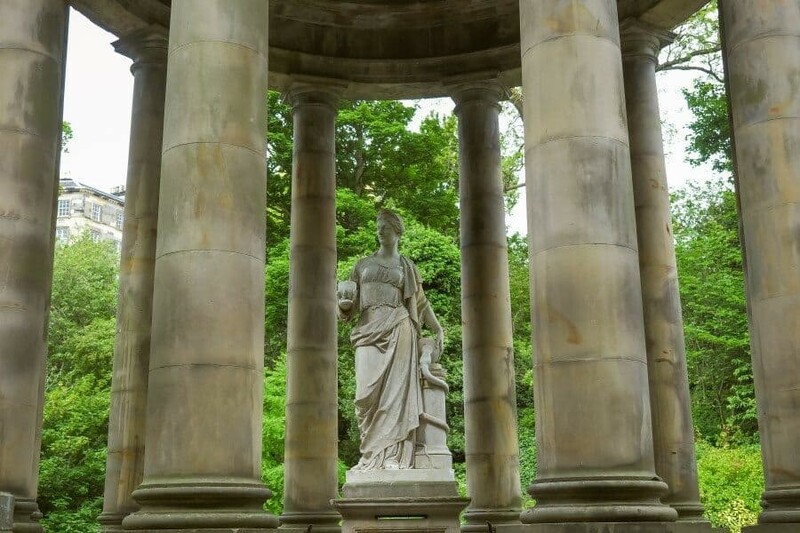 Discovered in 1760, this natural spring was believed to cure all illnesses and has a statue marking its location of Hygeia, the Greek goddess of health. There’s a small door to the well which is only open on special days throughout the year so visitors are able to taste the water which is known to have a very strong taste. Photo Tip: Take the walkway the entire length and keep an eye out for the little cascades, greenery framing the stone houses and staircases just before St.Bernard’s Well which work great in photos. 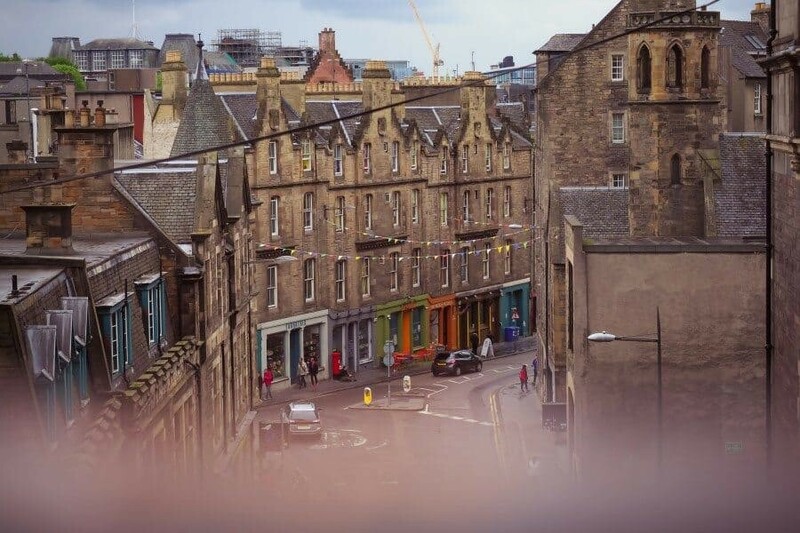 Victoria Street – aka Harry Potter Inspiration! A curved and cobbled street, Victoria Street is quite possibly the best looking street in Edinburgh. With colourful facades it’s often referred to as Diagon Alley (from Harry Potter) and apparently where J.K Rowling took her inspiration, it’s worth a stroll to capture the street scenes here. 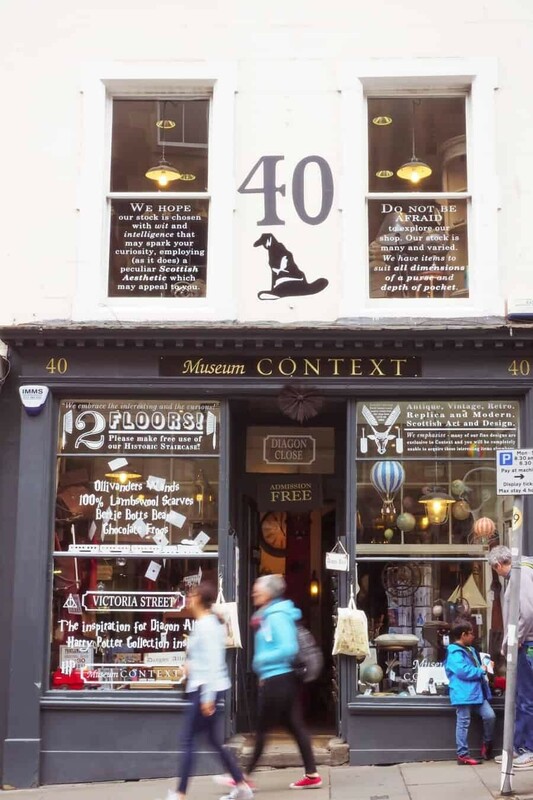 My favourite store in the whole city is Museum Context which is located right in the middle of Victoria Street and offers an enchanting shopping experience if you’re into vintage maps, antiques and of course, the little magician called Harry Potter. Photo Tip: Climb the staircase to Upper Bow for a great view down over Victoria Street. This quiet garden is such a special little gem right in the heart of Edinburgh’s Old Town. 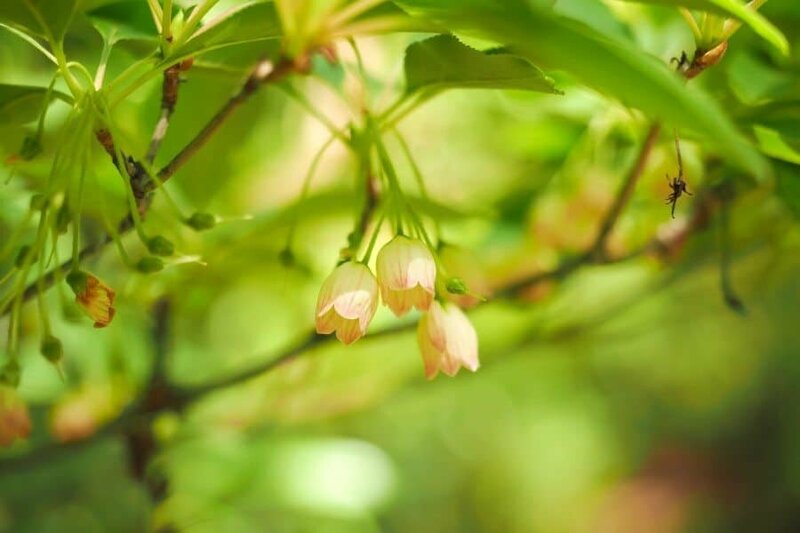 Designed in the style of a 17th century garden it’s elegant shrubs are preened, pretty and blooming. You don’t even realise you’re in a city once you step off the Royal Mile and into this hidden space. Around the garden are wooden benches where you can sit and soak up the serenity or you can get busy like me and photograph their hedges and neat lines. Inside this cathedral dating back to the 14th century is one of the most incredible ceilings I’ve ever seen. A striking bold blue colour highlights the centre of the cathedral with lights creating an effect like the sky and sun. 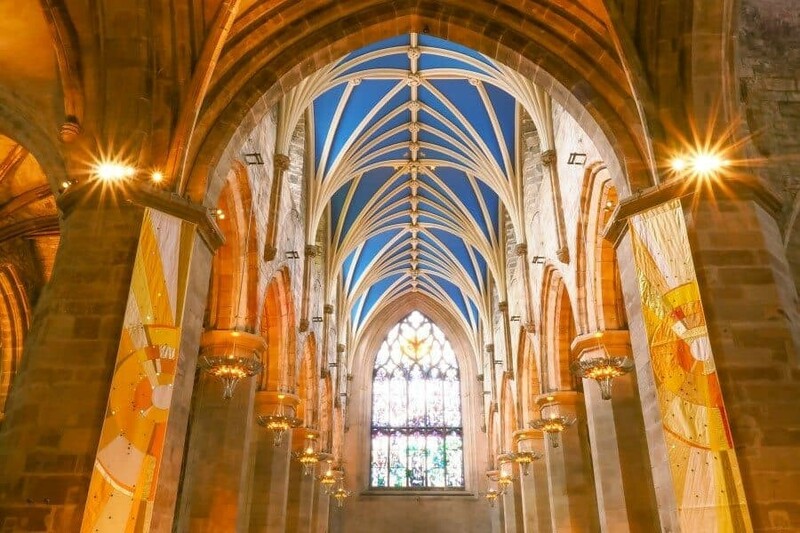 There’s no admission charge however to photograph inside the cathedral you need to purchase a photography pass. To do so it’s simply a £2 donation and in return you’ll receive a small sticker to wear while you’re taking photos. 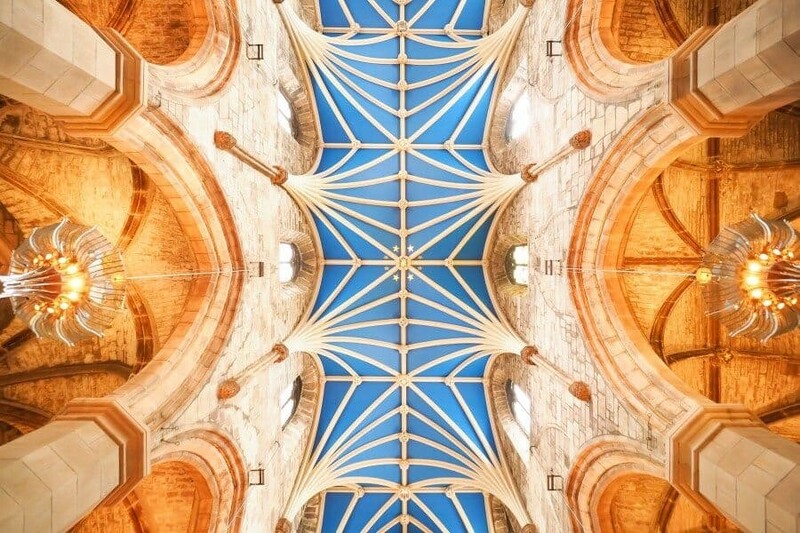 Photo Tip: Look up, I had a sore neck after visiting because I took so many different angles of the ceiling! Perched high above the city, Edinburgh Castle is the most popular tourist attraction in town. If you’re after a peaceful walk amongst history, unfortunately this isn’t the place to go. There’ll more than likely be thousands of tourists piling through the gates but, it does offer a fantastic view over Edinburgh. Inside there’s the National War Museum, St Margaret’s Chapel and at 1pm each day the canons are fired! I actually preferred to photograph the castle from various points around the city than close up. Its imposing presence is visible from a number of locations so be sure to keep your eyes open for a unique perspective. 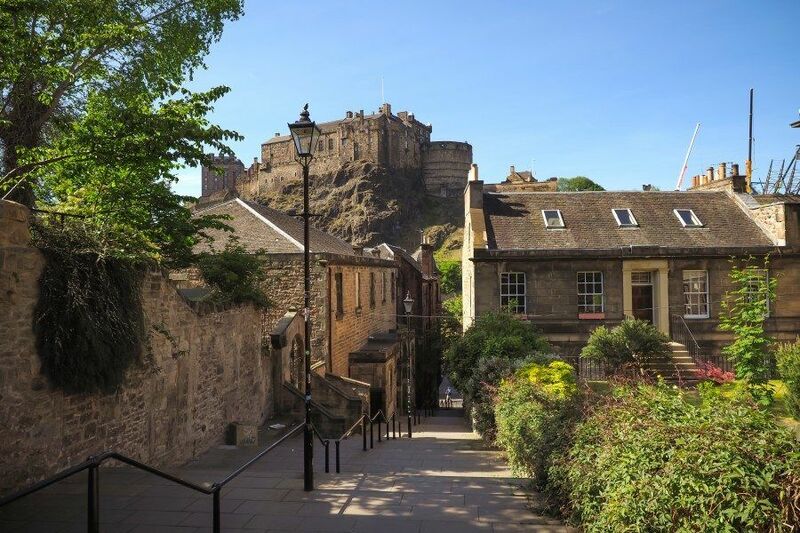 You’ll find the castle located at the top of the Royal Mile, the old town’s main street which connects the castle with Holyrood Palace, the Queen’s official Scottish residence. 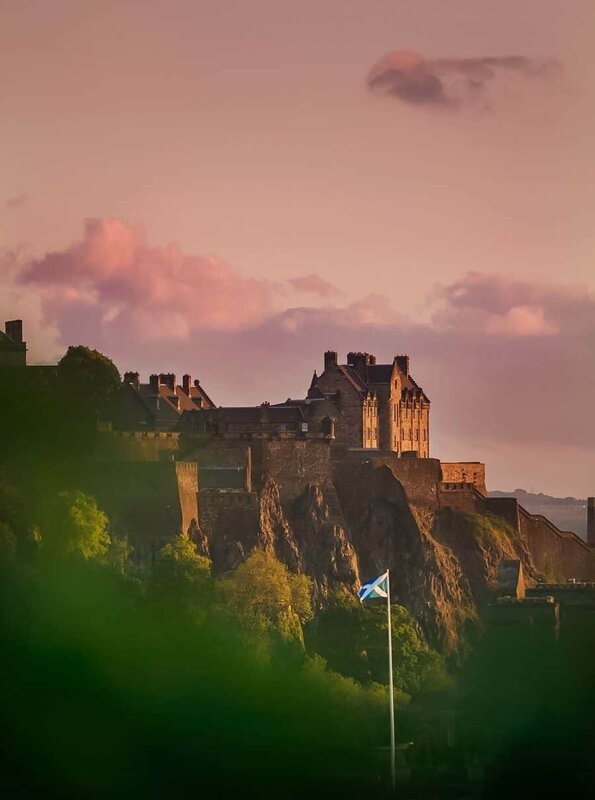 Photo tip: Capturing the castle from Calton Hill just beside The Nelson Monument perfectly lines up with a Scottish flying flag somewhere in the Princes Gardens if you have a zoom lens! My favourite suburb of Edinburgh, Stockbridge is everything you want in a Scottish village. 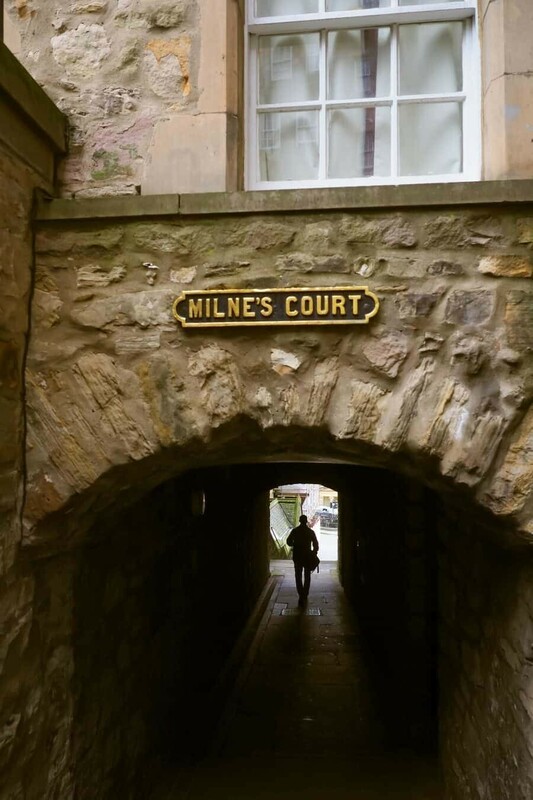 With the Water of Leith running through it, coffee shops and of course home to Circus Lane (see below), its vibe is very relaxed making it a great place to wander and capture street scenes. One of the best features throughout Edinburgh are the cobbled streets, I’m not sure I even found a street that wasn’t cobbled so be sure to go off exploring the endless rows of apartments with matching doors and squared window boxes. Photo Tip: Avoid peak hour times to enjoy Stockbridge to the fullest. Circus Lane is a must see in Edinburgh! Quaint, cobbled and simply put, cute. 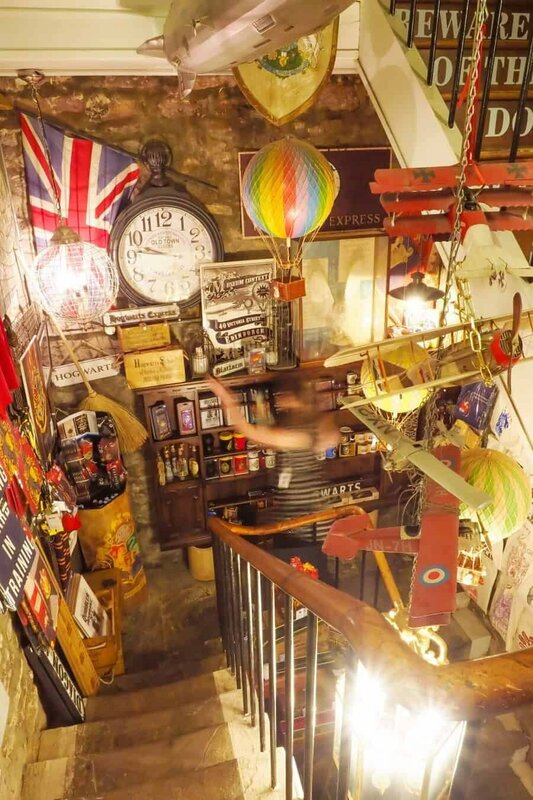 Circus Lane provides all those feelings of old world charm with immaculately kept cottages, flower pots and colourful window sills. 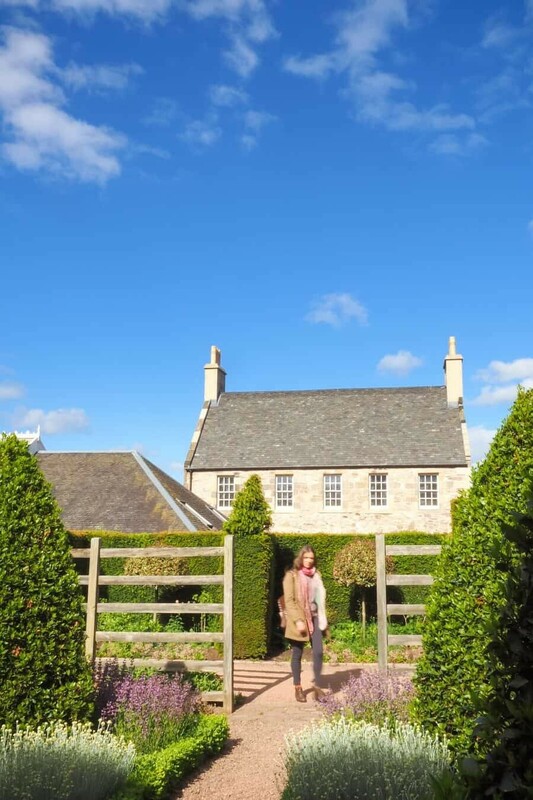 Located in Stockbridge it’s just a 10minute walk from Princes Street. When walking from St Vincent’s Street down the lane, be sure to turn around because Saint Stephen’s Cathedral creates a great subject to feature in your shot with the Circus Lane cottages in the foreground. Photo Tip: Visit during the day when the people who actually live here are at work and their cars aren’t parked in the lane. 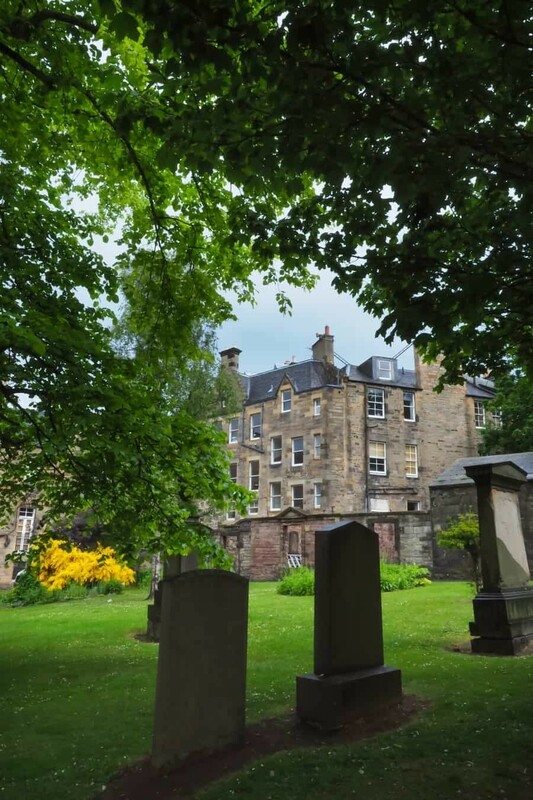 Most popular now because of their association with the Harry Potter series, the Greyfriars Kirkyard is a cemetery located in Edinburgh’s Old Town. J.K Rowling took inspiration from the cemetery for the Harry Potter series and the stately looking George Heriot’s School located right beside was used as the base for her Hogwart’s vision. My favourite part of Greyfriars Kirkyard though is the story of Greyfriars Bobby. Bobby was a Skye Terrier whose owner John Gray was buried in the graveyard. 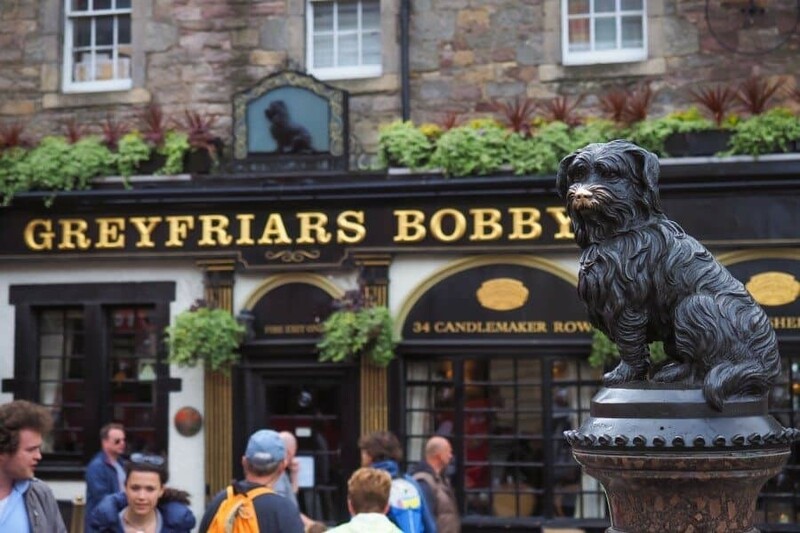 The story goes that for the next 14 years Bobby spent his life sitting by the grave and was then buried just inside the gates of Greyfriars Kirkyard. Visitors can now leave a stick for Bobby, a tradition that I couldn’t resist adding to and was very close to bursting into tears at just how cute it was! 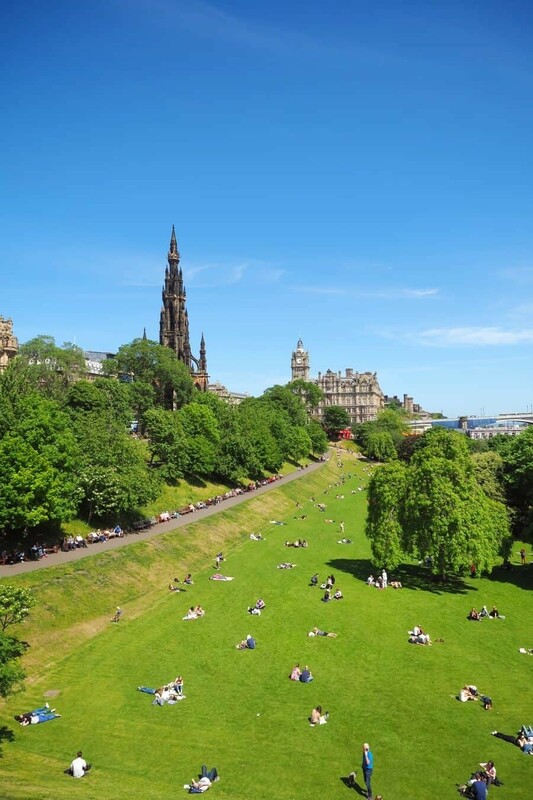 London has Hyde Park, New York has Central Park and Edinburgh has the Princes Street Gardens. Lined with historic buildings and filled with flower beds and green space, the gardens are a beautiful space within the city centre. The main reason I loved photographing the gardens was because they offer a great view of the buildings that lead toward the Edinburgh Castle and the castle itself is ideal for some creative perspectives through the trees. 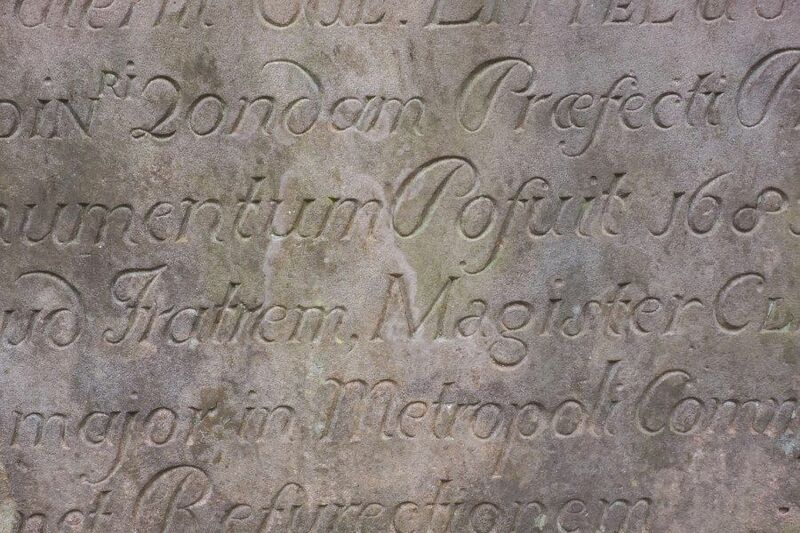 At the western end of the gardens you’ll find St Cuthberts Churchyard which sits below Castle Rock and has vaults and moss covered gravestones. The gardens in the summertime are alive with activity as musicians, bands and performances create an atmosphere that’s hard to not get caught up in. Once those bagpipes start playing it’s almost crime not to tap your toes and have a little jig. Photo Tip: The Scottish National Gallery sits right in the middle up high above the gardens and it’s a great spot to look over them to photograph the scenes from above. As the official Scottish residence of the Queen, it’s quite the show stopper. While it’s much smaller than Buckingham Palace the Queen apparently spends one week here each summer and year round it’s kept looking ship shape. Built in the 1670s it has a glamourous country mansion feel while obviously still being extravagantly royal. What sets it apart for me are the gardens that surround the palace. Also if you purchase a ticket to explore the palace, you can also check out the Holyrood Abbey ruins which in themselves are a sight to see. Photo Tip: Capture the palace while hiking the Salisbury Crags. The palace is really impressive from above and from the crags or even from Calton Hill, you can photograph it with the mountain surroundings. So I was told a round trip to Arthur’s Seat takes about two hours from Holyrood Palace which I guess is correct if you don’t have a camera. If however you like to stop every few minutes to capture the scenery and your breath, give yourself a decent four hours to really soak it all in. High above the city you’ll be treated to incredible views once you reach the top and my tip is to take a picnic because you’ll need some sustenance after the hike! 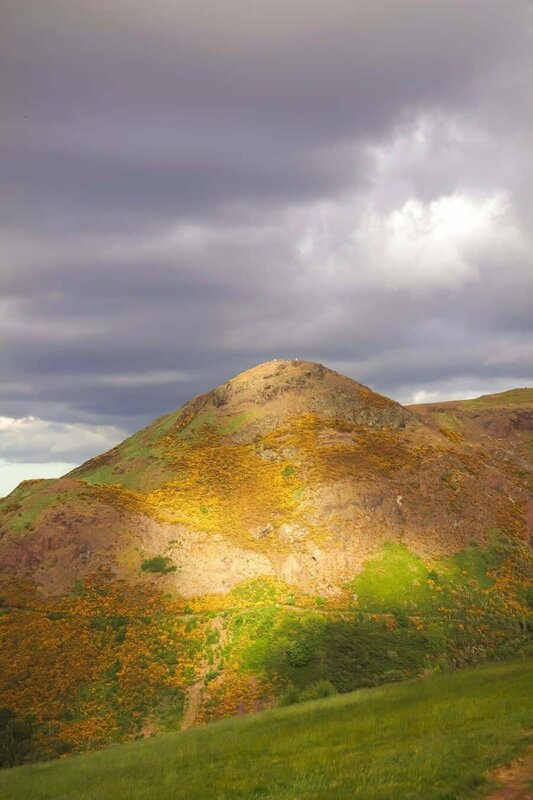 On the way to the top there’s all the beauty of Holyrood Park to photograph so keep an eye out for reflections in St Margaret’s Loch, there’s plenty of bird life and if you’re not venturing out to the highlands, it’s a great place to capture some mountain landscapes. Photo Tip: Plan for sunset and take a picnic dinner! 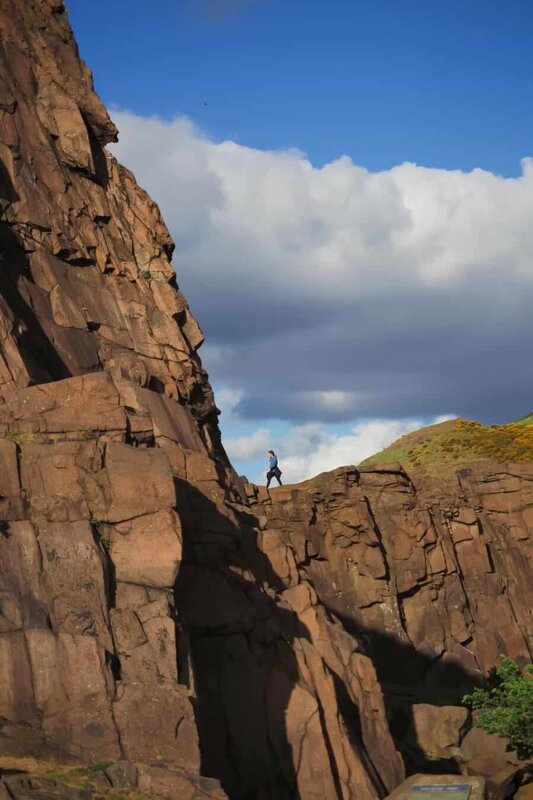 If you’re going to do one walk in Edinburgh, my choice is the Salisbury Crags. Watching over Edinburgh like a rugged and resilient guard, the crags are quite the adventure. Starting from just near the Palace of Holyroodhouse, climb up beneath the crags for about 30minutes (45mins if you’re slower and like taking lots of photos like me!). Half way up there’s a beautiful view over the palace but continue on for some really impressive landscapes as you hike your way up the rocky cliffs. There’s a few paths heading in various directions once you reach a certain point but if you opt to stick close to the rocks eventually you’ll find a place where it’s possible to climb up and then wander along the very top of the crags. With Arthur’s Seat looming behind you’ll have Edinburgh glowing in the other direction, an incredible vantage point especially at sunset! 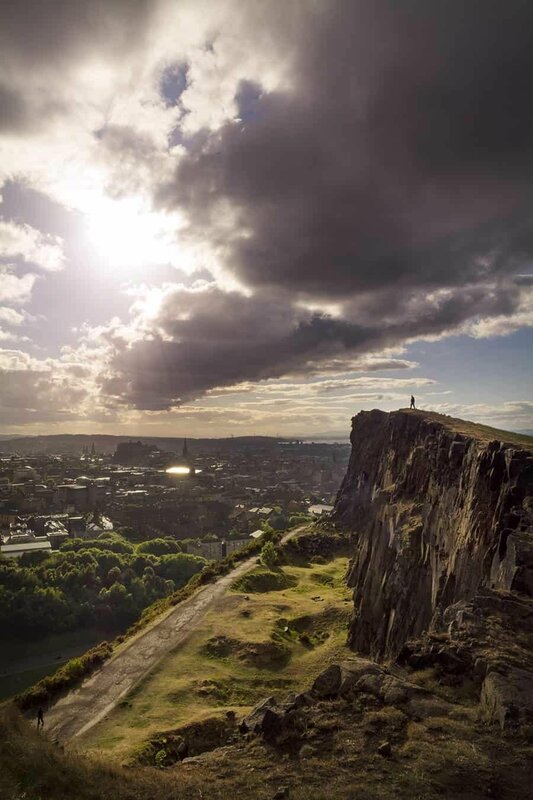 Photo Tip: Once you’ve made it to the top of the crags, there’s a spot about half way along where the rocks jut in a little and it creates the perfect place to photograph the castle and Edinburgh skyline with someone standing on the edge overlooking the city. This staircase was one of the places I was told to visit and while it’s most certainly a great view of the Edinburgh Castle, if you’re running out of time don’t worry too much. This shot is most beautiful in the evening light once the lamps are lit and creating a moody old world feel. Running on top of Waverly Train Station, the bridge connects Edinburgh’s Old Town to the New Town. It also provides dramatic views of the facades of the Royal Mile that lead towards Edinburgh Castle. I used the railings as reflective distractions to blur out the train lines below. While I couldn’t find a way in, the Queen St Gardens are beautiful even through the fence. You can find little corners to capture and since it seems difficult to gain access, it’s like a little dream world of perfectly preened garden paths and lush flora. A world away from Princes Street yet in reality, just a 15 minute stroll, the Royal Botanic Gardens are beautiful. 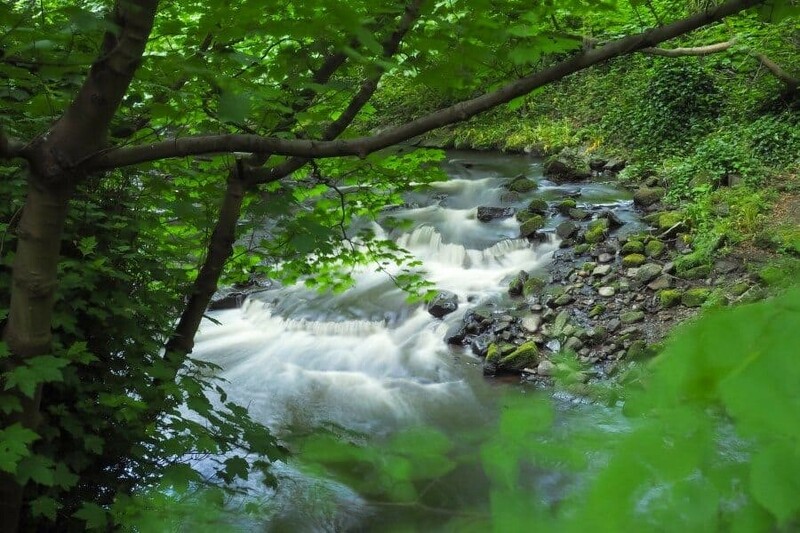 If you prefer a little bit of nature over crowded streets I really recommend spending some time here and then following it up with a walk along the Water of Leith. 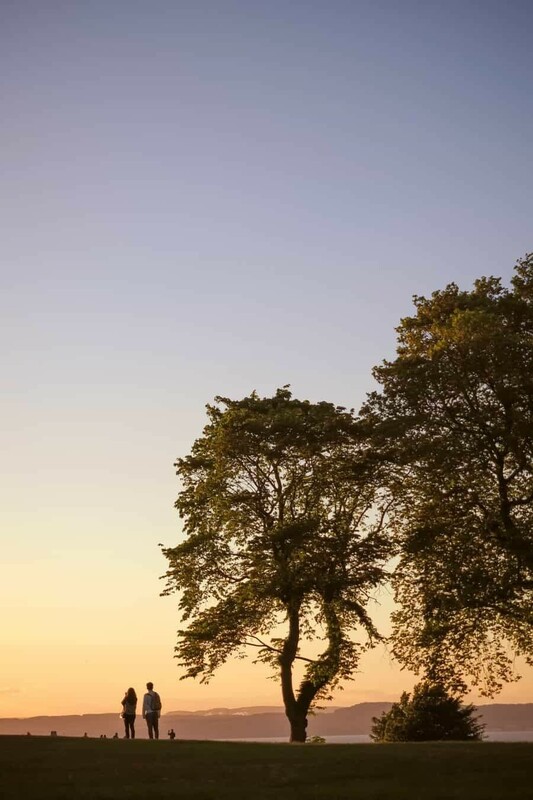 Featuring more than 13,000 plant species it’s lush, relaxing and there’s the beautiful Inverleith House located right in the centre which makes for great photo opportunities. Admission is free! I opted for an apartment to base myself while I explored the city and happened to stumble upon the cutest two bedroom flat in the city on Airbnb. 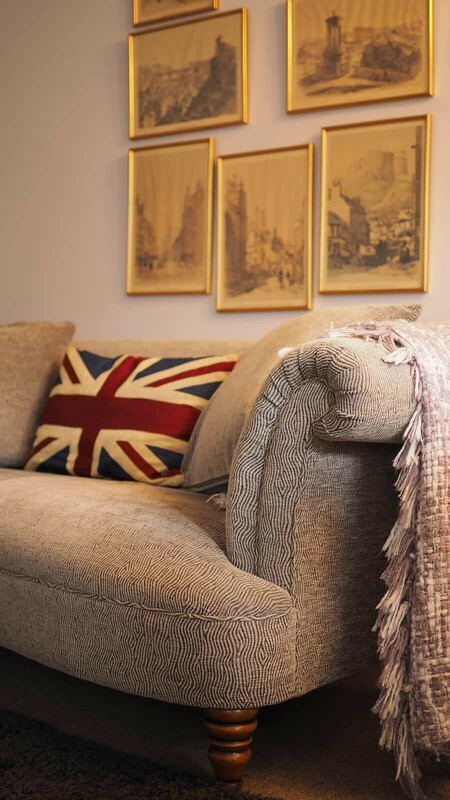 Follow this link to check out Pier’s apartment in Stockbridge which was decorated to perfection with gorgeous British furniture, access to Netflix, everything you could need to cook and feel like you’re living in Edinburgh along with an amazing location. 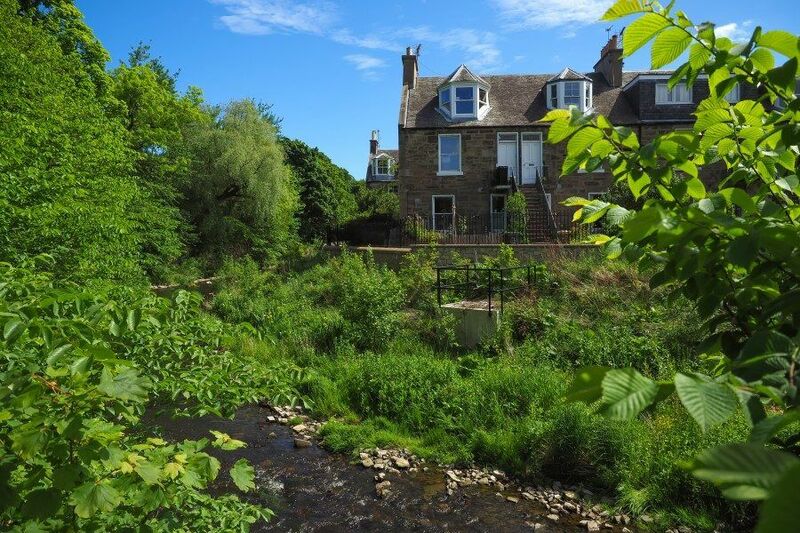 Located in Stockbridge just a 10minute walk from Princes Street it is right around the corner from coffee shops, bus stops, the Water of Leith Walkway is a block away and so are the Royal Botanic Gardens. If you haven’t done AirBnb before I highly recommend it! Otherwise, I’d suggest somewhere close to the city centre so you can wander and photograph from sunrise to sunset. I always use Booking.com when searching for a hotel as I love their map feature that lets you see where a property is located in relation to some of the photography locations you want to visit! Check out the Edinburgh city page here. 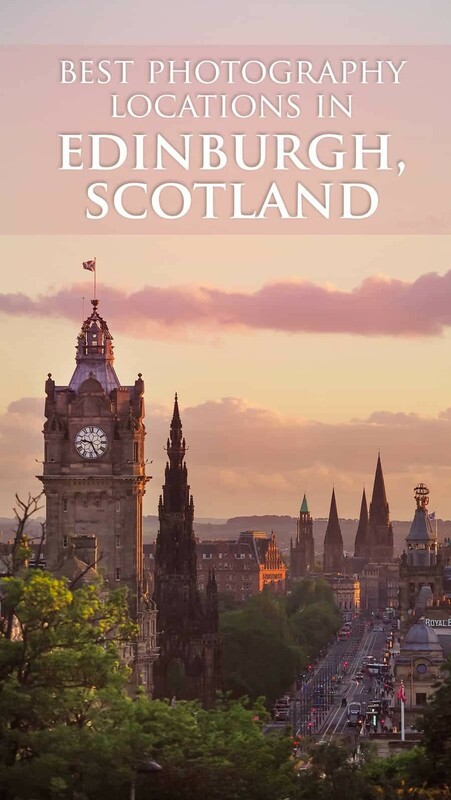 To check out opening times, city tours, places to eat and general information about the history of Edinburgh be sure to check out the Visit Scotland website. 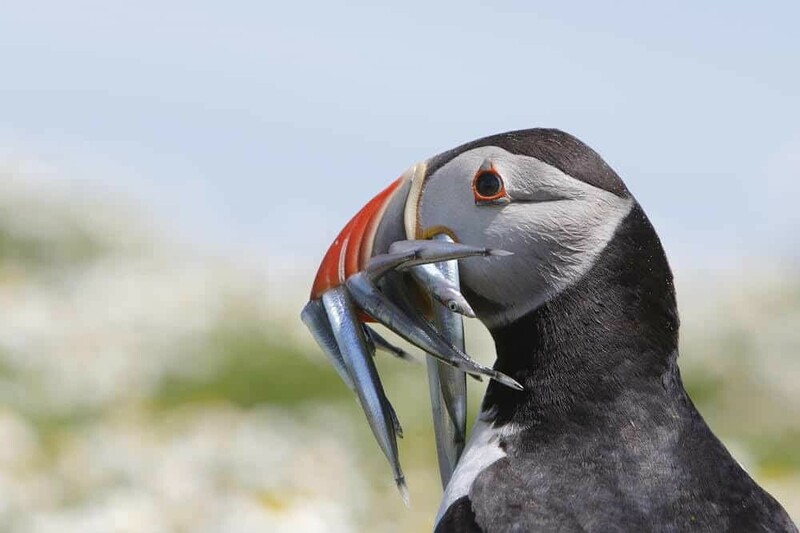 Also their Instagram account @visitscotland is pretty addictive once you fall in love with the wonders of Scotland! We used Edinburgh as our base to start a Spaceships Rentals road trip around the highlands and outer islands. 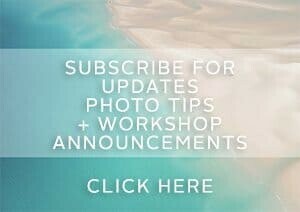 I’ll be publishing more guides about this over the coming weeks so keep an eye out to see what we got up to! I love Edinburgh! It’s one of the first cities I visited when I was on the working holiday visa in the UK. Need to plan another visit back because we never got to climb the mountains. Such beautiful photos, found it hard to choose which one to pin! 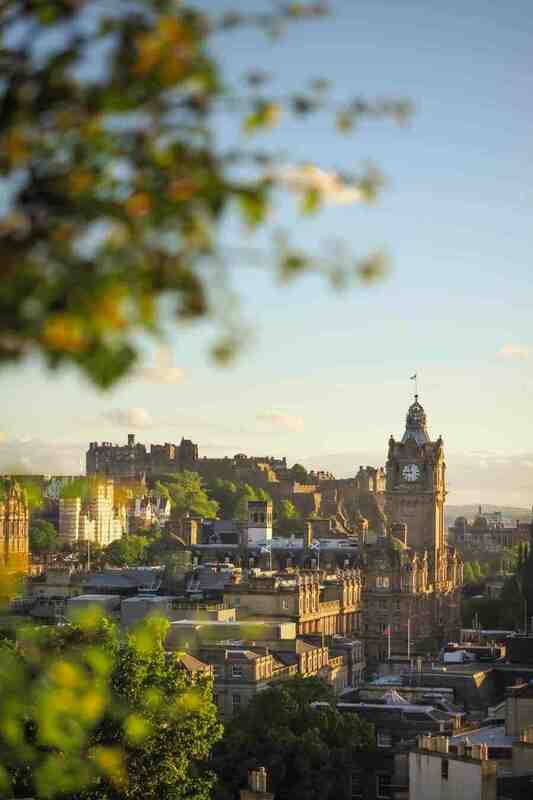 Edinburgh looks so gorgeous… I’m so sad I couldn’t take the opportunity of living in Belfast to visit, so far. But I will. These pictures make me want to board the first ferry, actually! Can’t wait to see it with my own eyes! It’s such a stunning city, I used to live in Dublin and found Edinburgh to be a beautiful mix of Dublin, London and a country village 🙂 Definitely worth taking a ferry across to visit! I loved EVERYTHING about this post. I`m a photographer too and Scotland is one of my favourite countries in the world. I can`t explain but this place is magical ! And your stunning photos captured it so well! Also the map thing is great! So useful! 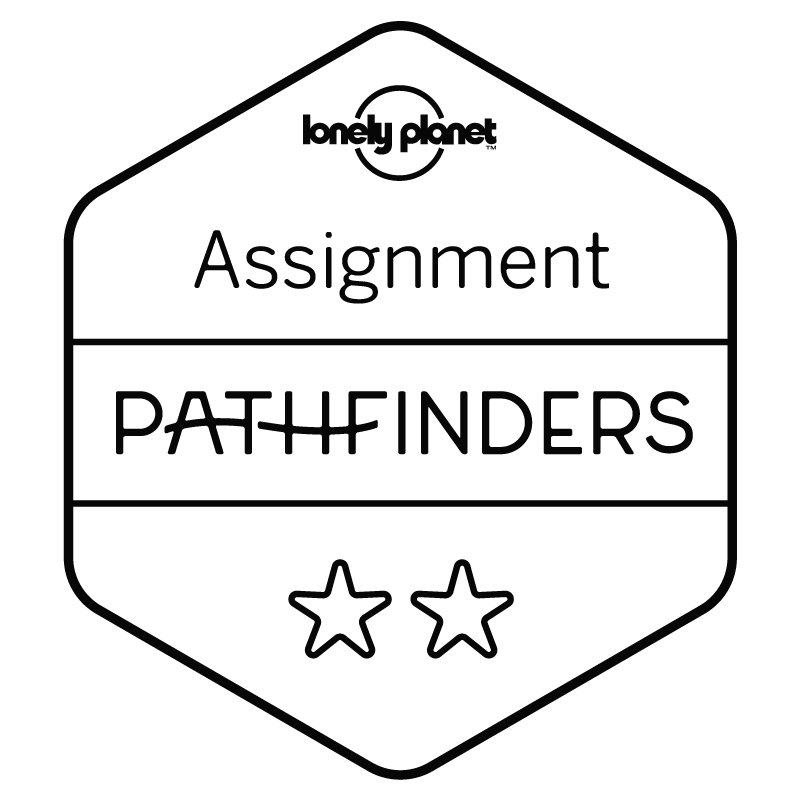 I`m bookmarking this post so when I go back to Edinburgh I`ll follow your trail! I really hope I can go back soon! Thanks for this post and those amazing photos! Thank you so mucj for sharing!! I am heading to Edinburgh at the end of the month and I will keep all these tips in mind. Thanks for getting me excited!! 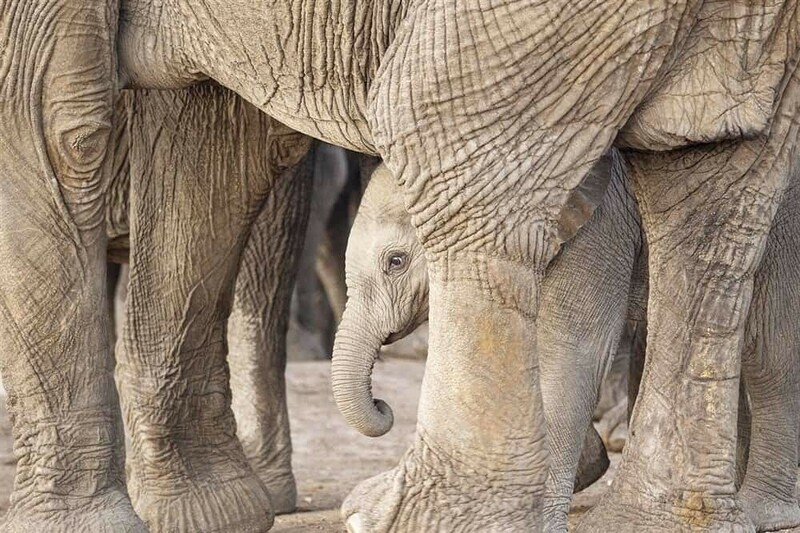 So many beautiful photos, Lisa! I bet everyone asked if you were related to Robert Burns, right? It looks like a beautiful place & I hope one day to visit. 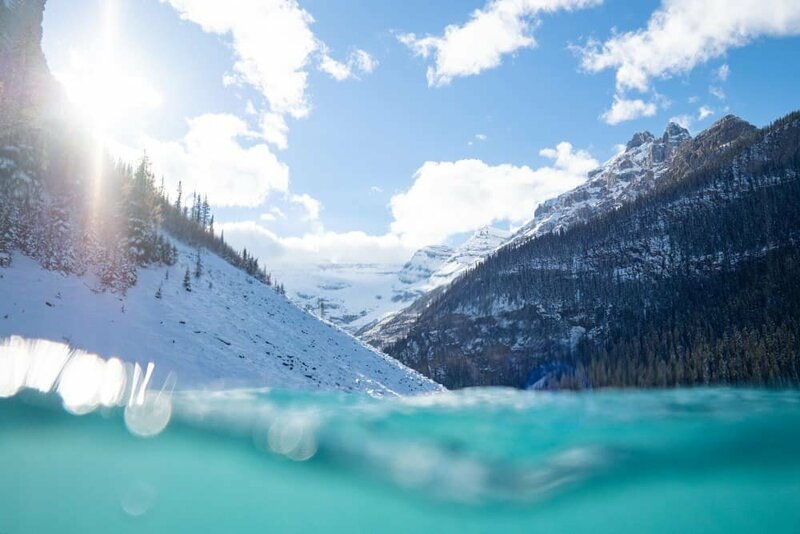 Thank you for the helpful tips on these incredible photogenic spots! Your photos are GORGEOUS. I hope to go to Edinburgh next year so I will definitely be referring to this post later! 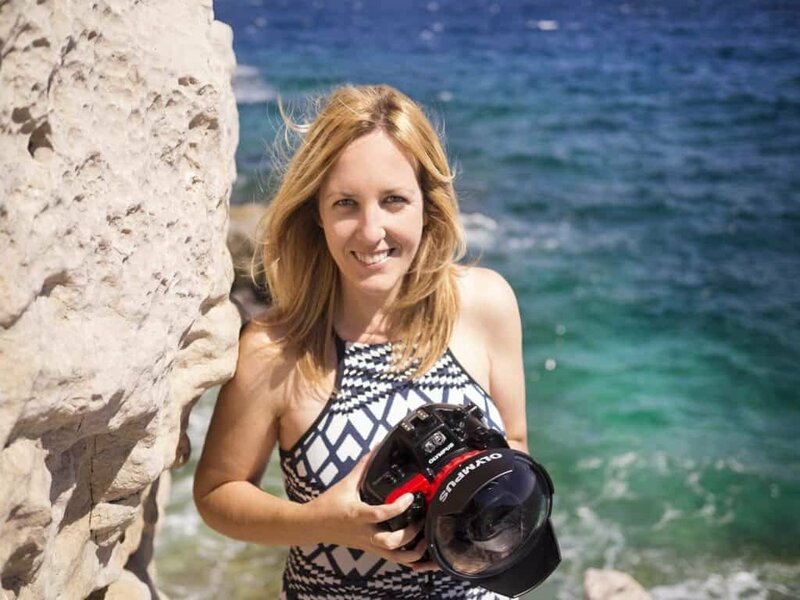 Hi there Lisa – I just wanted to say a very big thanks for your Edinburgh guide. We exchanged messages a few weeks ago on Instagram, as I was heading to Scotland at the end of last month. I printed your guide before we left and used it as a reference point. 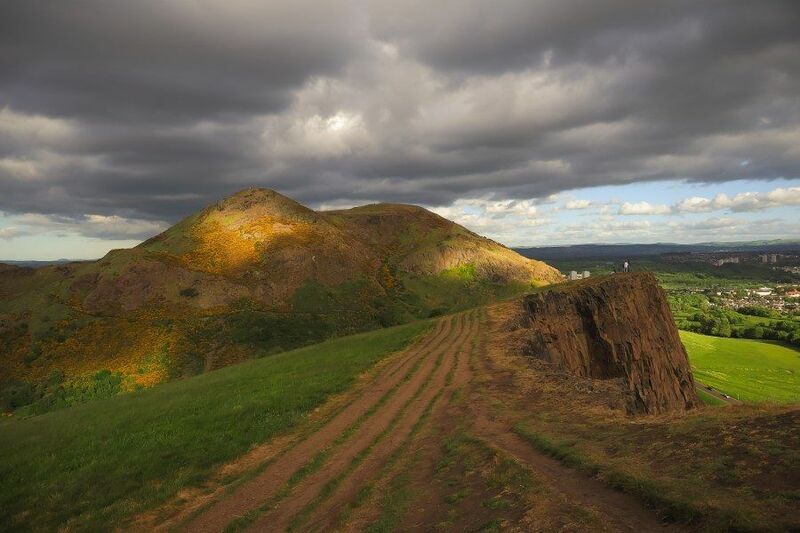 As someone who always looks for a hike, I loved the Arthur’s seat commentary. LOVE, LOVE, LOVE your work! So great to hear Krystil, really sweet of you to write this message! 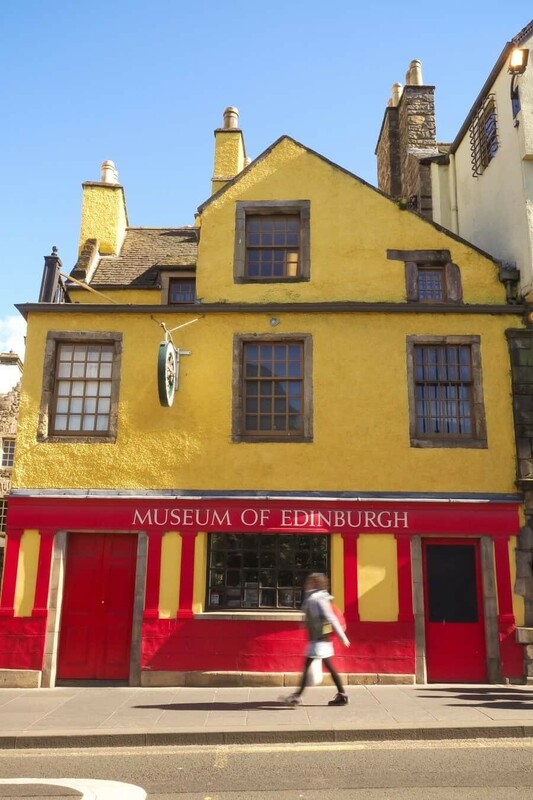 Did you fall for Edinburgh’s charm too? I hope you had a little sunshine during the trip! This is a tremendous help as there is limited time in each location visiting which you don’t want to use it up just scouting locations.